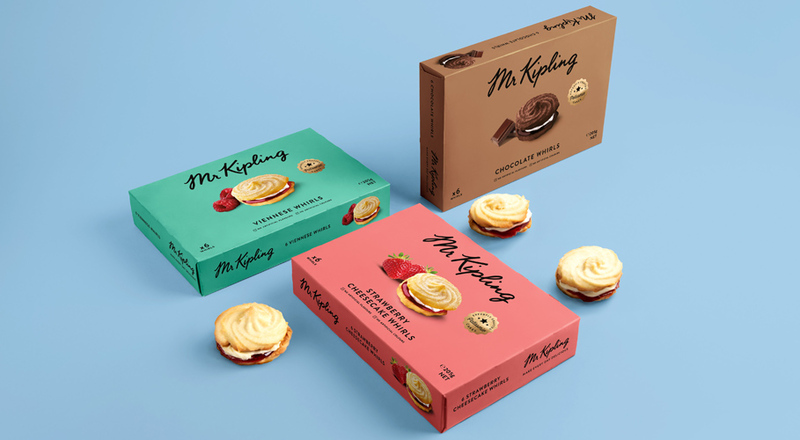 Mr Kipling have hired Robot Food to redesign the branding packaging for the North American and Australian markets, instead going for a more contemporary look that takes inspiration from European patisseries. Robot Food says that the brand, owned by Premier Foods, is widely known in the UK but is a “relatively unknown” competitor in some international markets, allowing the opportunity to “reinvent” it. 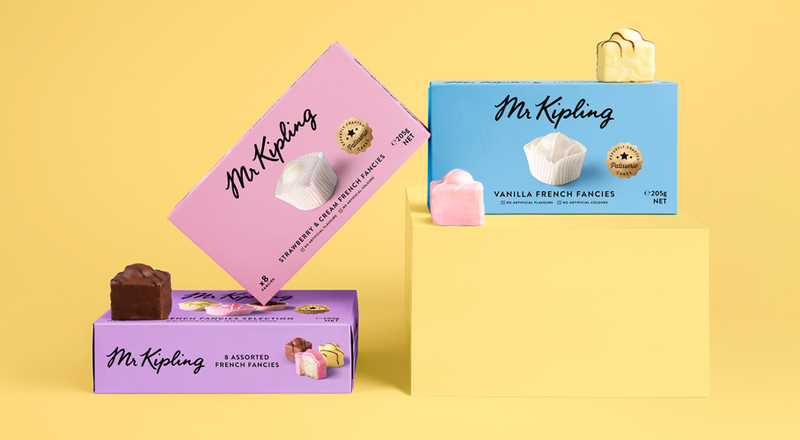 Creative Director at Robot Food, Martin Widdowfield , states that while Mr Kipling “has a lot of heritage” in the UK, the current look is not “making waves” in other countries. 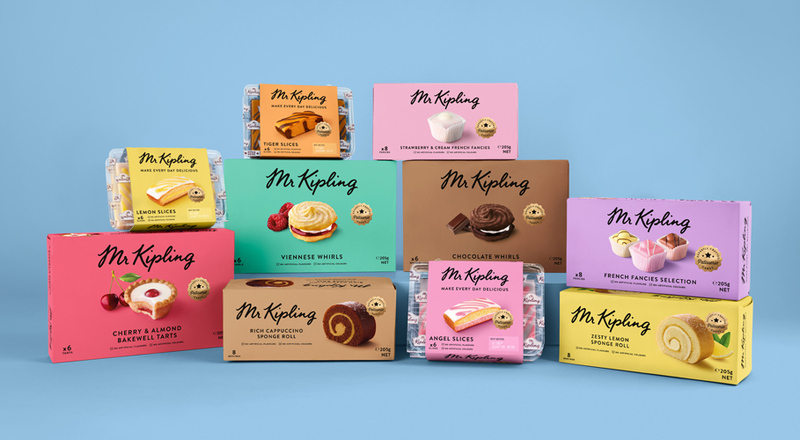 “It was about doing something new and exciting, so they weren’t too worried about the current look and equity of ‘exceedingly good cakes,’” says Widdowfield. “It was like a fresh start”. The studio have confirmed that although the branding will be different internationally it will not be changing in the UK. The studio set out to create a “contemporary”, “exciting” and “premium” image, in an effort to “set a design for the future”, and move away from the heritage side of the branding. 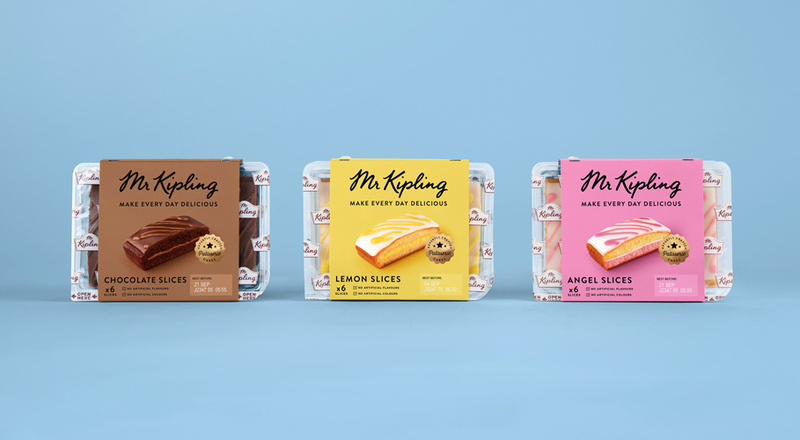 The new packaging design has been made with bright, pastel coloured backgrounds with solid colour rather than using patterns that are varied for every different cake. 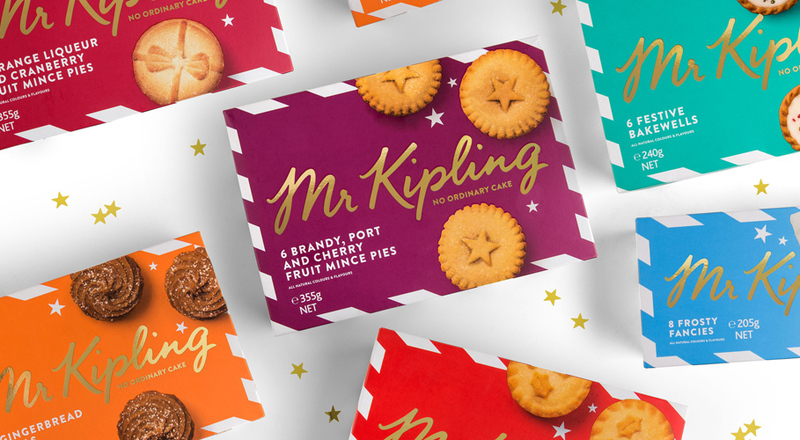 An image of the cake has been placed in the centre of the packaging as the “hero”, with some added images on some cakes of core ingredients, for example cherries on bakewell tarts. The wordmark remains the same but has been “stripped back to just the signature, without any flounce,” he says. The logo itself is now a flat, black colour, which is now printed directly too the background, as opposed to a light coloured label as in previous designs. 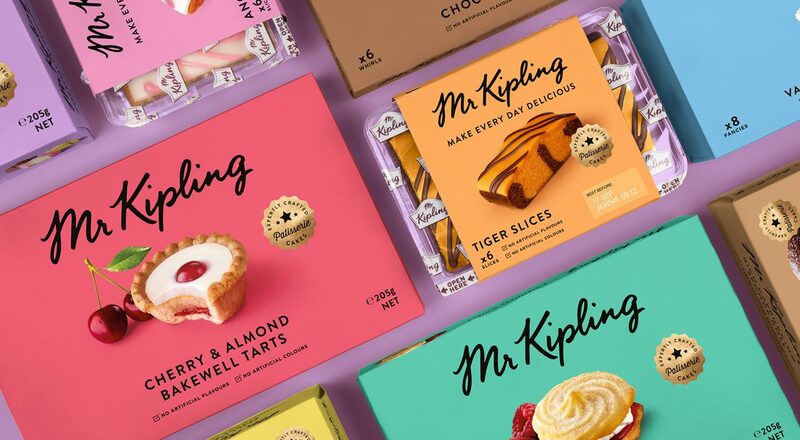 The famous strapline, “exceedingly good cakes” has been replaced by “Make every day delicious” for the international branding, and a small gold seal has been included, reading, “expertly crafted Patisserie cakes”.